Reducing drug-related deaths: Should police officers carry naxolone? Opinion: Naloxone is increasingly used by US law enforcement to prevent loss of life from opoids. With more than half of overdoses in England and Wales in 2017 involving opiates, APCC Lead for Alcohol and Substance Misuse and Derbyshire PCC Hardyal Dhindsa says that, as first responders, it's time to consider equipping UK police with the drug. OPINION: The second of a new series of articles providing a platform for police and crime commissioners (PCCs) to look back on the first half of their current term, highlighting their achievements so far and ambitions for the remainder of their term. Hardyal Dhindsa the PCC for Derbyshire gives an example of the PCC's ability to drive change through partnership. Hardyal Dhindsa was voted in as PCC for Derbyshire in 2016. Hardyal graduated with a degree in Psychology from Bangor University, North Wales and worked as an Assistant Psychologist in the NHS. I qualified as a Social Worker from the London School of Economics in 1985 and have 30 years’ experience as a Probation Officer, Practitioner and Strategic Manager in a Criminal Justice Agency, overseeing a £22million budget and 500 personnel. During this time he had a two year secondment as Deputy Director to the Nottingham Crime and Drugs Partnership to combat the negative social and criminal impact of drugs and alcohol abuse; prioritising community safety and reducing crime. His background in probation enables him to understand that offenders have to be punished and apprehended for their crimes as well as helped to be rehabilitated and re-integrated back into their communities and neighbourhoods. Hardyal has been a senior elected Labour member of Derby City Council; holding key Cabinet posts for over 20 years. 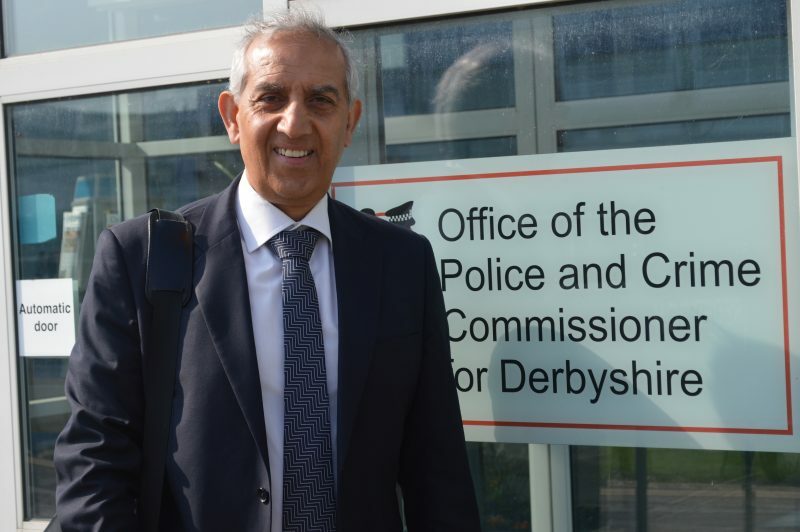 In 2013, Hardyal Dhindsa became Derbyshire’s Deputy Police and Crime Commissioner, working with Commissioner Alan Charles. In that role he visited every part of Derbyshire to listen to the concerns of local people. He deputised for Alan in every respect, with the exception of hiring or firing the Chief Constable.